Samsung has launched the Galaxy J7 (2017) in June, where the smartphone has only one camera on the back. 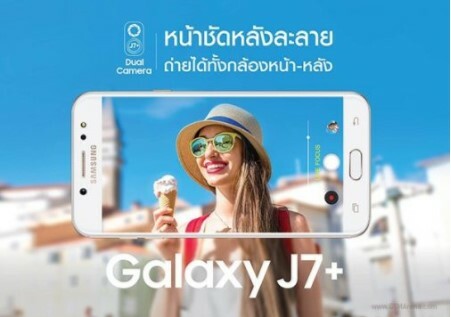 There was a report that said if Samsung will present a dual-camera variant, and now it is known that the smartphone that will have a dual-camera setup is the Galaxy J7 Plus. As reported by GSM Arena, leaks about the existence of these devices have appeared in Thailand, and we can expect if the company will soon release the handset in the near future in the land of the White Elephant. 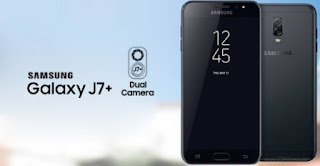 The main feature on the Galaxy J7 Plus certainly lies in the dual-camera setup that is on the back. The camera has a configuration, consisting of one 13MP sensor with f / 1.7 aperture as the main sensor, and a 5MP f / 1.9 sensor as the second sensor. The combination of both sensor cameras is capable of presenting a portrait mode Live Focus Samsung’s latest, exactly present in the Galaxy Note 8. As for selfie, this smartphone is equipped with 16MP resolution camera. For other appeals lies in the AI-based Bixby digital assistant support. This smartphone will have a special button to activate the Bixby feature. As for specifications, Galaxy J7 Plus will come with a 5.5 inch wide screen Full HD 1080p resolution and use panel manifold Super AMOLED. For the kitchen pacunya, this smartphone relies on a middle-class chipset that carried by Galaxy J7 (2017), the Exynos 7870 which has an octa-core processor. In addition, this smartphone will also carry 4GB of RAM and 32GB of internal storage that can still be expanded using a microSD. Not to forget, this smartphone will also come with a fingerprint sensor, and 3000mAh battery.